displacement is approximately 60,000 tons. 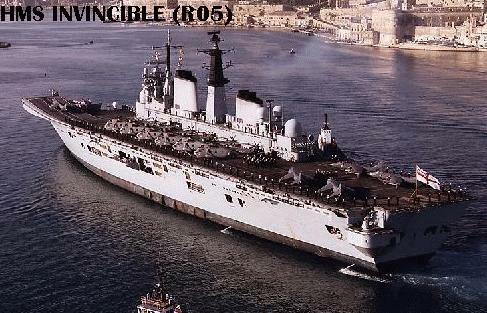 One ship is always in reserve or refit. New Trident SSBNs, have replaced old SSBNs. 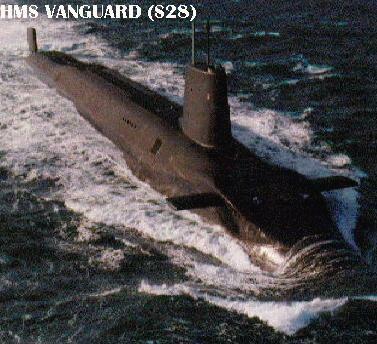 New submarine class, to replace Swiftsure class. 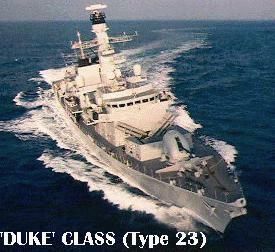 A new class being developed to replace the existing T42 destroyers. magazine holds 40 Sea Dart, but this is not confirmed. 2 20 mm, 3 12.75 inch torpedo tubes. Area AAW ships. Very cramped and lacking in self-defense. Two lost in the Falklands. Multipurpose frigates; moderately stealthy design. 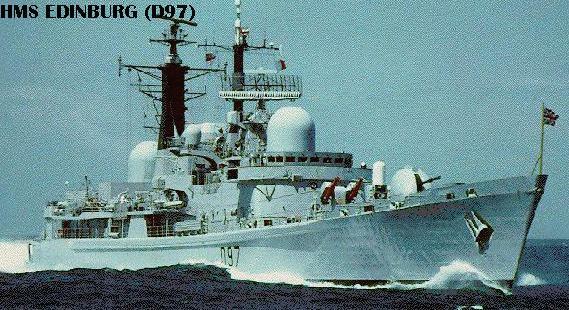 becoming multirole frigates instead of ASW-only ships. for a towed array. Fitted with US Outboard ELINT system. Exocet missiles have been deactivated. Greatly improved version of previous class. unmodernized sisters are listed separately. for the Navy. This unmodernized pair will soon be retired. 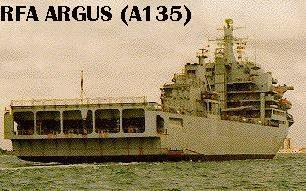 New OPVs, to replace the current Island class ships. Patrol vessels, primarily meant for fisheries and oil field duties. 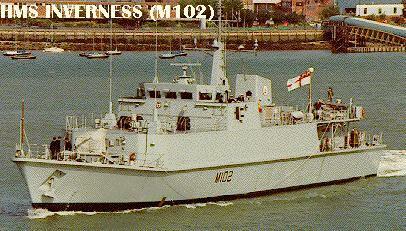 Civilian tanker taken over for naval service. New AOs; badly delayed in construction. Small oilers, generally used to support ships on distant stations. Japanese-built chartered sealift ship. Charter has been extended. Large survey ship. Designation now changed from A131 to H131. Civilian vessel taken over as South Atlantic patrol vessel. 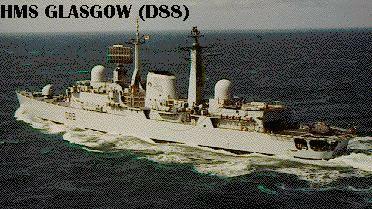 New survey ships ordered to replace the older vessels. 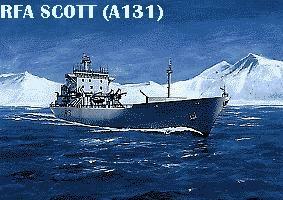 Designation changed from A130 to H130. 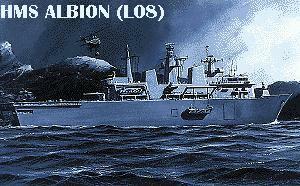 a special forces support ship. Charted ex-trawler for aviation trials support. Used to tend moorings for test range markers. Mooring tenders, salvage lift craft and experiment support craft.